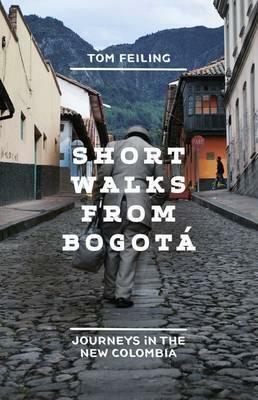 Tom Feiling’s Short Walks from Bogota is a recent account of looking at Colombia on foot. Although some of his walks are not short at all and nor do they all start from Bogota, it is an excellent introduction to the confusing story which Colombia became. It underlines what an utterly confusing picture the multiple competing groups had become and also emphasises how a long term solution to the country’s problems will only be found when the inequitable distribution of land ownership and therefore wealth is finally faced up to. The Fruit Palace by Charles Nicoll was published way back in 1986, but although it’s long out of date and Santa Marta, the town where the author’s fruit palace is found, has changed enormously and for the better. His madcap venture to explore the country’s drug story is, as you’d expect, heavily dusted with cocaine and given how violent the cocaine story was to become he was lucky to come out of it unscathed. Still on the cocaine trail Rusty Young’s Marching Powder is set in Bolivia rather than Colombia, but I bumped into the author when I was in Bogota and write of our meeting in the Colombia chapter. The November 2008 edition of Vanity Fair has an excellent report by Maureen Orth on Ingrid Betancourt and her liberation from FARC captivity. Colombia’s most famous author is the Nobel Prize winner Gabriel García Márquez and his birthplace Aracataca is about 80km south of Santa Marta. It appears as the fictional village of Macondo in novels like One Hundred Years of Solitude. Visitors may be few and far between but the number of books about the Congo is enormous. It’s clearly one of those places which inspires writers whether it’s fiction or outrageous travel adventures. Congo fiction goes back to a classic – Joseph Conrad’s voyage up the Congo River to the Heart of Darkness, which in turn was the inspiration for the movie Apocalypse Now. It’s not the only Congo literary classic, V S Naipaul’s A Bend in the River never mentions the country, the name of the river or the town on that bend, but it’s clearly Kisangani in the period after Mobutu came to power and before everything went totally wrong. The manager of the hotel where I stayed in Kisangani remembers Naipaul being there. 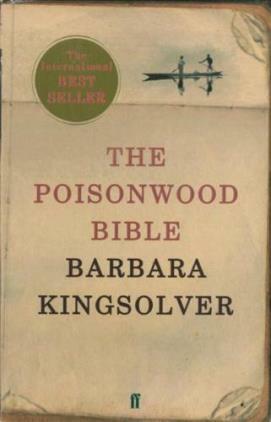 Then there’s Poisonwood Bible, Barbara Kingsolver’s wonderful tale of an American missionary family led by a tunnel-visioned Baptist missionary. They turn up at the worst possible time, as the country tumbles into independence and chaos. Patrice Lumumba makes an enlightening cameo appearance in Poisonwood Bible and he also forms the ongoing backdrop to Ronan Bennett’s tragic romance The Catastrophist. The history of the Congo – in all its forms from the Congo Free State via the Belgian Congo, Congo and Zaire to today’s DRC – has been so outrageous that every stage has inspired great writing. These are history books which are never dull, starting with Adam Hochschild’s King Leopold’s Ghost, aptly subtitled ‘A Story of Greed, Terror and Heroism in Colonial Africa.’ It led me on a merry chase not only through DRC, but also back to Belgium to visit Ostend, where King Leopold had spent a large chunk of his African income and to the Africa museum on the outskirts of Brussels. The museum reacted angrily to the original publication of this attack on the Belgian king. For the Mobutu years turn to Michela Wrong’s In the Footsteps of Mr Kurtz (Living on the Brink of Disaster in Mobutu’s Congo) for an exotic romp through the horror-comedy which was Mobutu’s Congo. So much of the Mobutu story would be laugh out loud, if it wasn’t such a disaster for the people of the Congo. Jason Stearns’ Dancing in the Glory of Monsters tries to unpick the story of ‘The Collapse of the Congo and the Great War of Africa.’ A pretty impossible task. The monster was Mobutu and the quote came from Laurent Kabila, who soon proved to be inept as well as somewhat monstrous himself. In my posting on the book I tried to sum up the history of the Congo in seven bullet points. Mobutu’s long rule came about in part because he so successfully played off the US (and its allies) against the USSR during the Cold War. Larry Devlin’s Chief of Station, Congo is a revealing account by the head of the CIA revealing his firmly held belief that his activities helped to save the world from the evil empire, ie the USSR. Of course he also helped to thoroughly screw up the Congo for the next 30 years (and counting), but it appears he never noticed that. Bryan Mealer’s All Things Must Fight to Live makes the transition from history to travel. Tracking down what’s happening in Congo during the Great War of Africa entailed some heroic travel including a marathon bicycle journey and an equally marathon train trip. The Congo River has inspired plenty of people to try and recreate Conrad’s journey into the dark and Tim Butcher’s Blood River is probably the best of the bunch, he made his trip in 2004, just as the real horrors were grinding to a halt. Jeffrey Tayler made his Congo River journey 10 years earlier, just as things were beginning to go very wrong, rather than just as they were starting to get sorted out. 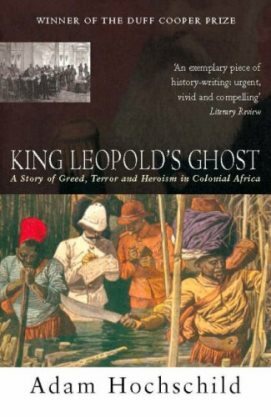 While his trip was not totally successfully merely Facing the Congo, the title of the book, was quite a feat. 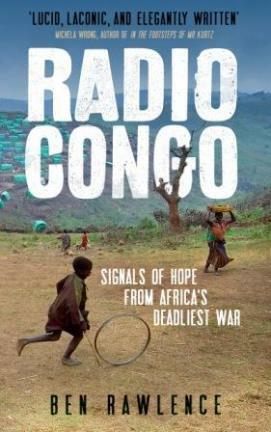 In the last year the best travel book I’ve read was Ben Rawlence’s Radio Congo, another book underlining how if you want travel adventure the Congo is probably the place to go and if you want to get around the country a bicycle (or motorcycle) is what you want. Or an aircraft, look for the 2007 Vanity Fair article ‘Congo from the Cockpit’ by William Langewiesche. The other Congo, Congo Republic aka Congo Brazzaville, only makes a brief appearance in the Dark Lands DRC chapter, but there are some interesting books to consider. I scored ‘Brazzaville Beach’ entry and exit stamps on my passport from my Congo Republic visit although in fact William Boyd’s highly readable Brazzaville Beach has nothing to do with that muddy stretch of riverbank where I made my arrival and departure. It does have lots of interesting material on chimpanzees, worth reading if, like me, you visit the bonobo sanctuary outside Kinshasa. Alain Mabanckou’s series of novels are mainly set in Brazzaville, they’re not all translated into English but Broken Glass is and it’s hilarious. 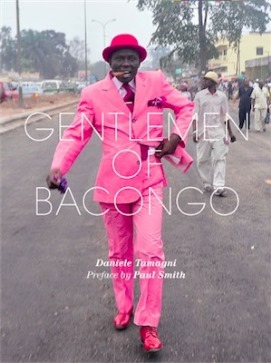 Finally it’s nice to know that despite chaos, violence and poverty fashion can still be important as the Sapeurs prove in Daniele Tamagni’s wonderful photographic book Gentlemen of Bacongo. Of course the great Haitan novel is Graham Green’s The Comedians and I start my Haiti chapter with a length of the swimming pool which plays such an important role in that novel. 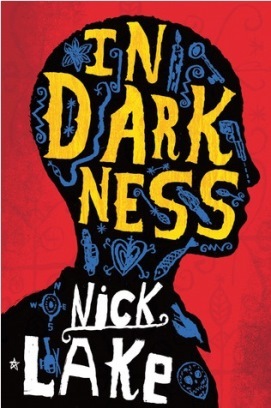 In Darkness, Nick Lake’s fast moving novel built around the 2010 earthquake manages to combine the earthquake, the tough story of life for a young man in the slums of Port-au-Prince and the slave revolt of Toussaint L’Ouverture. It’s a great introduction to the country. Edwidge Danticat is the best known contemporary Haitian writer and has a number of novels to her name as well as After the Dance, an account of a visit to Jacmel at carnival time. Ian Thomson’s Bonjour Blanc was written way back in 1990, but it’s still the best reasonably recent account of Haitan travels. A generation, or two, earlier Patrick Leigh Fermor also travelled around the county in his 1950 account of Caribbean travel The Traveller’s Tree. The connection between Mohamed Fayed – former owner of Harrod’s and just two degrees of separation from Princess Di – and Haiti is briefly related in Maureen Orth’s book The Importance of Being Famous. It’s covered in greater detail in an article she wrote for Vanity Fair and in assorted British newspapers. It surprised me how many books have come out of the Congo, whether they’re great novels, fascinating historical accounts or wonderfully exotic travel narratives. The shelves also groan under the weight of books about Israel, Palestine and the whole Middle East confusion. Threading your way through the verbiage is complicated by the reality that no argument has such totally separated points of view, it’s virtually impossible to say anything without inflaming one side or the other. So anything you read has to be interpreted by which side of the argument it comes from and also from when it was written. The Israeli ‘new historians’ or ‘revisionists’ no longer accept Israel’s ‘foundation myths,’ ie that poor little Israeli was surrounded by a vastly larger and stronger enemy bent on its destruction. In fact Israel was much stronger than those myths would insist and if anything it was surrounded by incompetents. In 1948, and ever since, the bellicose talk has far outweighed the actual violence and for all the talk of wiping Israel out it’s always the Arab or Palestinian side which ends up with the bloody nose. Most recently in the Gaza conflicts in 2008-2009 the death toll was over a thousand Palestinians versus 13 Israelis and in 2012 more than a hundred Palestinians versus six Israelis. Plus, in contrast to all the violent talk, the actual figures are tiny. Compared to the millions who have died in Congo or even the death toll in the Balkans following the breakup of Yugoslavia this should just be a minor dispute. It’s a shame it has such huge worldwide repercussions. 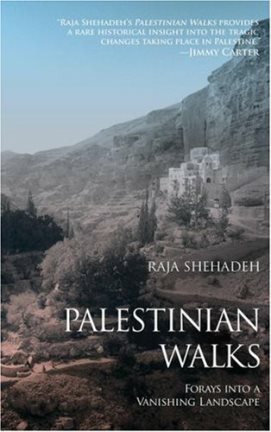 I’d intended to make walking an important part of my travels in Israel and Palestine, but in contrast to the huge collection of reports on the history and politics of the region I only came across a handful of walking guides. Of course for the Israel National Trail I turned to Jacob Saar and Yagil Henkin’s rather dry day by day guide. I had Anna Dintaman and David Landis’s Hiking the Jesus Trail with me on that walk although since I also had Maoz Inon, who deserves most of the credit for devising the trail, with me I scarcely needed a guidebook. Journalist Martin Fletcher’s writing aided me in my search for Ethiopian despot Haile Mariam Mengistu’s hideaway while I was in Zimbabwe, but although his book Walking Israel was a great idea (walk the 180km down the coast from the Lebanon border to the Gaza one) the end result was a major disappointment. In Extreme Rambling English comedian Mark Thomas sets out on an Israeli-Palestine walking mission, to cover the length of the wall, the fence or whatever you want to call it. He doesn’t start out very enthusiastic about it and ends up much less so. From my minor attempts to walk stretches of the wall I can appreciate just how difficult walking the whole thing could be. Although I missed Mark’s ‘wall walking’ performance at the Edinburgh Festival in 2011, I caught it a year later in Melbourne. Finally there’s Raja Shehadeh award-winning Palestinian Walks and it’s the class act, a gentle muse on the countryside, the walking and the situation. Nobody has written the exhaustive book on the rise and fall of Nauru even though there’s plenty of material. Nor has any traveller written an account of his long stay exploring the island or even a brief stay between other Pacific hot spots. There are, however, lots of newspaper and media reports including The Billion-Dollar Shack in the New York Times, back in 2000. It’s an exhaustive account of Nauru’s flirtation with money laundering, particularly the Russian variety. 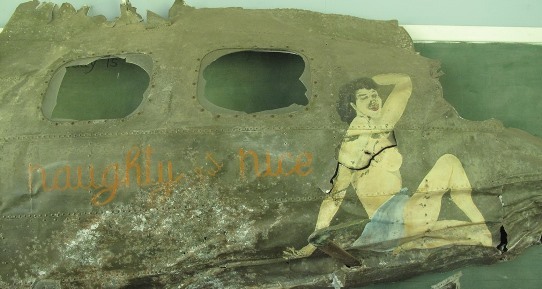 There are lots of sad stories on Australia’s refugee camps on Nauru and if you’re interested in often hilarious tales of flying Air Nauru try airwaysmuseum. The Taliban Shuffle, Kim Barker’s gonzo-journalistic account of seven years in Afghanistan and Pakistan is subtitled Strange Days in Afghanistan and Pakistan and that’s a good description of this readable account of her time in the two countries since the post 9/11 invasion of Afghanistan. Greg Mortenson’s Three Cups of Tea may have suffered some hard questioning of its accuracy of late, but the story of an American mountaineer who fails to summit K2, but sets out to build village schools is certainly a good one. Wouldn’t it be nice if America could spend more on schools for Pakistani children and less on killing them with drones? Anatol Lieven’s Pakistan – A Hard Country has quickly become the essential book on that complex and worrying country. With superbly bad timing the hardback was published just as Osama bin Laden was tracked down to his less than well hidden hideaway in Abbottabad. A revised paperback edition now includes those events. The Economist ran an extensive special report on Pakistan in its 11 February 2012 issue. And Granta 112, published in 2010, was devoted to writing on Pakistan. Probably the best known novel to come out of Pakistan in recent years was the satirical A Case of Exploding Mangoes by Mohammed Hanif. The Bougainville conflict dragged on for so long and took place in such close proximity to Australia it’s remarkable how little analysed and written about it has been. You can find an assortment of human rights publications including the 1997 report Bougainville: The Forgotten Human Rights Tragedy from Amnesty International. Since the story of the Bougainville civil war has not yet reached its conclusion we’re still awaiting the final summary – will the mine reopen, will the people of Bougainville vote to leave Papua New Guinea? There are also lots of reports and articles on the Rio Tinto and the Bougainville mine and indeed on big mining business and big eco-disasters in PNG in general. Admiral Yamamoto was shot down over Bougainville in 1943 and I trekked to the wreckage of his aircraft in the jungle. It was a targeted assassination and I found it interesting to compare his death with that of Osama bin Laden, 68 years later in 2011. Back in 2002 the American TV series West Wing featured an episode titled ‘We Killed Yamamoto’ where the show’s cast debate the legality of a targeted assassination of a suspected terrorist. Mr Pip, Lloyd Jones’ award winning is novel set in Bougainville during the civil war. There’s no other book which brings that horrific period so dramatically to life. On this occasion my PNG travels on the main island did not go further than Port Moresby. If you want to explore further Tim Flattery’s Throwim Way Leg – pidgin for ‘going on a long walk’ – is a great starting point. There have been so many ‘displaced farmers’ accounts published in recent years they almost make up their own (small) school of Zimbabwe literature. Peter Godwin’s When a Crocodile Eats the Sun is one of the best. 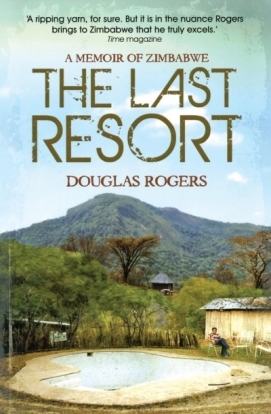 Mixing farming with backpacking Douglas Roger’s The Last Resort recounts the tale of his parents trying to keep their backpacker hostel going, despite threats from would-be farm invaders who would clearly be happy to take over the hostel as well. In the end the almost complete disappearance of their backpacking clientele had an equally serious effect. I dropped in on the hostel near Mutare on my Zimbabwe travels. Of course it’s worth remembering that during the colonial era Southern Rhodesia featured a hugely inequitable distribution of farm land. Not only did the small number of white farmers hold a totally disproportionate percentage of the land they also had the most productive country. There have been more recent books like Zimbabwe Takes Back its Land looking at the successes of new small-scale farm owners, although, naturally, some reviewers are dubious about the accuracy of this and similar accounts. It’s also worth remembering that Mugabe came in on a wave of popular approval and at first seemed to be doing all the right things. He even let Ian Smith, the former Prime Minister who had imprisoned him, remain in Zimbabwe. Only in 2005, two years before his death, did Smith move to South Africa. Heidi Holland, a South African journalist who grew up in Zimbabwe, met Robert Mugabe just before he fled the country to mount his guerrilla war. Dinner with Mugabe, her 2008 account of Mugabe’s transition from hero to tyrant is topped and tailed by that first meeting and a more recent encounter, the first for a long time granted to a Western journalist. Novelist Doris Lessing, another Nobel Prize winner, grew up in Southern Rhodesia and her novel The Grass is Singing is often taken as a reflection on black-white relations during the colonial era.